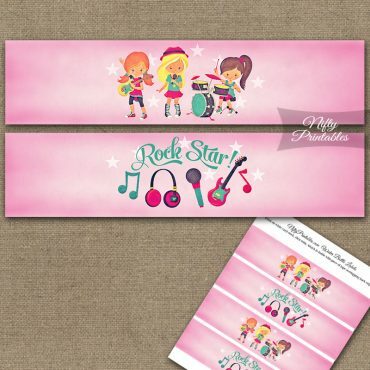 Printable blank labels featuring cute rock star girls in pink and turquoise on pink background with stars. 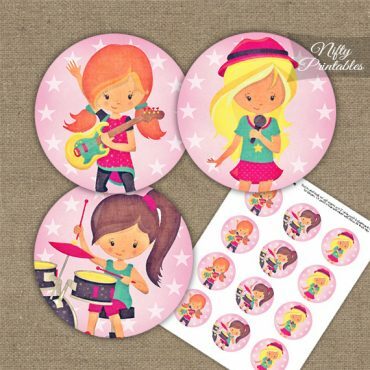 A fun music theme party collection for your little rock star. Girls birthday party decorations.